I'm back again with three more super easy new activities for your baby or toddler (click here for my previous post Three Simple Activities). My aim with these activities is that they are low cost, low mess and low fuss! My 15 month old is at the stage where new and interesting things really capture her attention and (can) keep her occupied for ages! I relish in these moments of independent play during our busy life - and try to breathe deep, take it all in and appreciate those times. So without further ado - here are today's ideas! 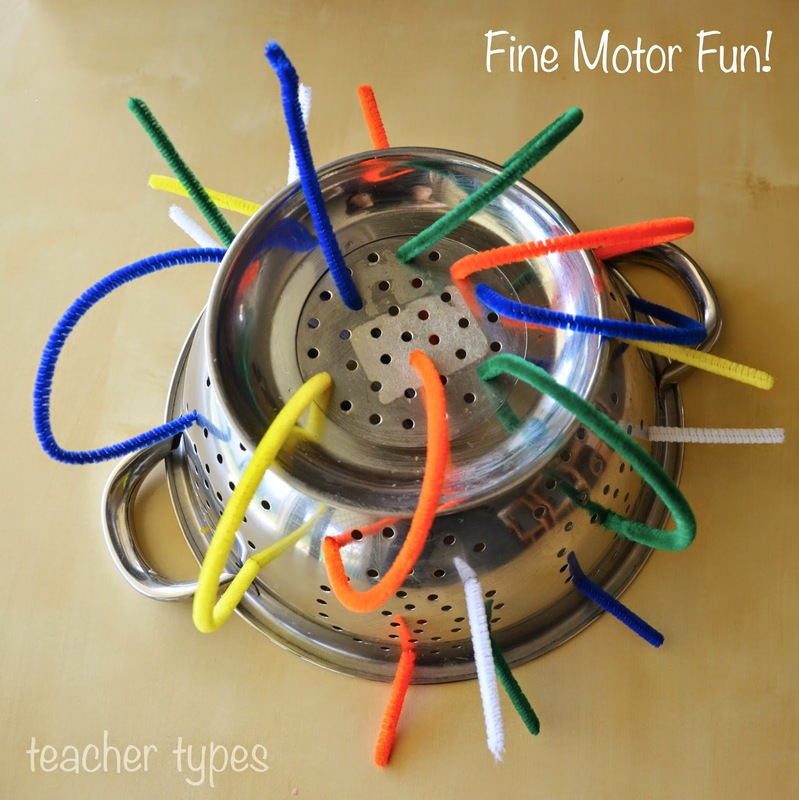 This is such a beautiful activity for fine motor development. Your little one will love pulling out the pipe cleaners and may even try to put them back in again. This one was a big hit! You could also use straws if that's what you've got around the house (although my colander holes were too small for straws). Does your toddler love putting things into boxes and then taking them out again over and over? We love finger puppet play at the moment and this is a great chance to talk about animal names and the sounds they make. 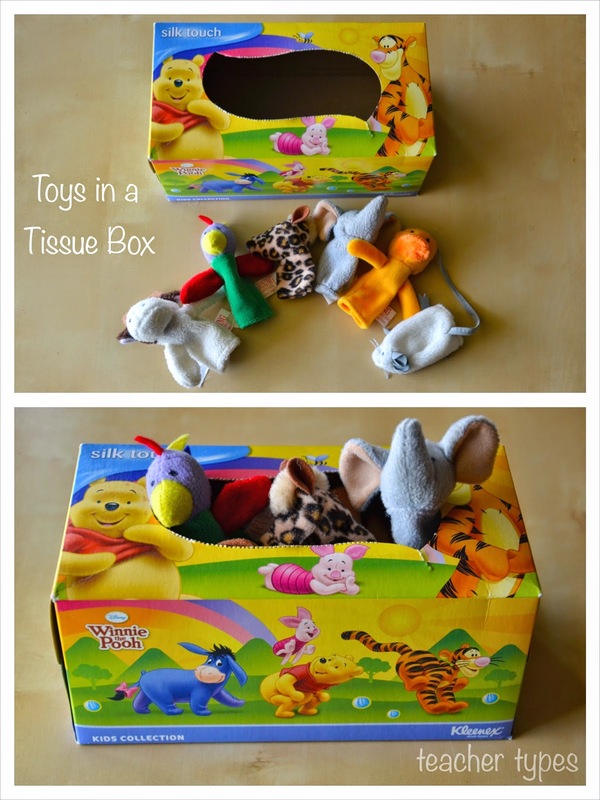 You could also cut up scrap material to put into the tissue box and pull them out like pretend 'tissues'. Don't you find it amusing that 'tupperware' the brand is the word we use for all plastic containers? Every kitchen in Australia probably has a whole cupboard named after it! 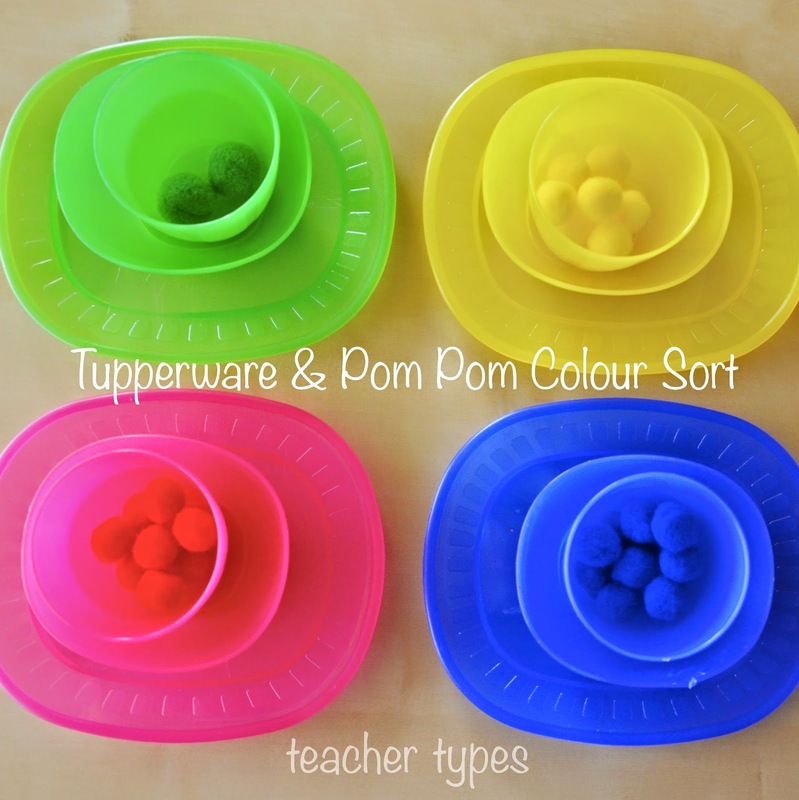 Anyway, my little one has loved playing with tupperware for months and is just beginning to recognise a few colours. I presented them to her all jumbled up and assisted her to sort them out into their colours. She loved the pom poms and kept calling them "balls". She couldn't yet put the right coloured pom poms into the right cups on her own, but it was still fun and I tried to show her! It goes without saying that this activity requires constant supervision to ensure that the pom poms aren't swallowed. Hope you found something useful whether you are a regular reader or have just somehow stumbled upon my little corner of the internet.